The problems caused to personal injury claimants by the change in the discount rate were addressed directly by His Honour Judge Curran (sitting as a High Court Judge) in Porter v Barts Health NHS Trust  EWHC 3205 (QB). The court addressed the issue of awarding an interim payment in a case where accommodation was a major part of the claim. After taking into account the issues raised by the Eeles principles, and the uncertainties in relation to quantification of accommodation claims, a further interim payment was made. This took the total of interim payments up to £2.4 million. The change in the discount rate has made it impractical for claimants to claim damages for accommodation costs based on Roberts -v- Johnstone principles. In a personal injury case the court has to be wary of impacting upon the trial judge’s ability to make an award of periodical payments, following Eeles v Cobham Hire Services  EWCA Civ 204. The claimant was a seriously injured claimant. Their accommodation was wholly unsuitable and an appropriate alternative identified and costed. An interim payment had been made previously. A much higher interim payment was required to finance the accommodation. The judgment sets out in detail the historical approach of the courts to financing accommodation claims, and the issues relating to Eeles. The judge then addressed the problems that arose from the change of the discount rate in February. Many suggestions for an appropriate solution to the problem created by the change in rate have been made in professional literature since February of this year. These include basing awards of damages for accommodation upon mortgage costs to be paid by PPO, or by an award of capital for purchase of a suitable house to be occupied by the claimant upon the basis only of a life interest with a reversion to the defendant. 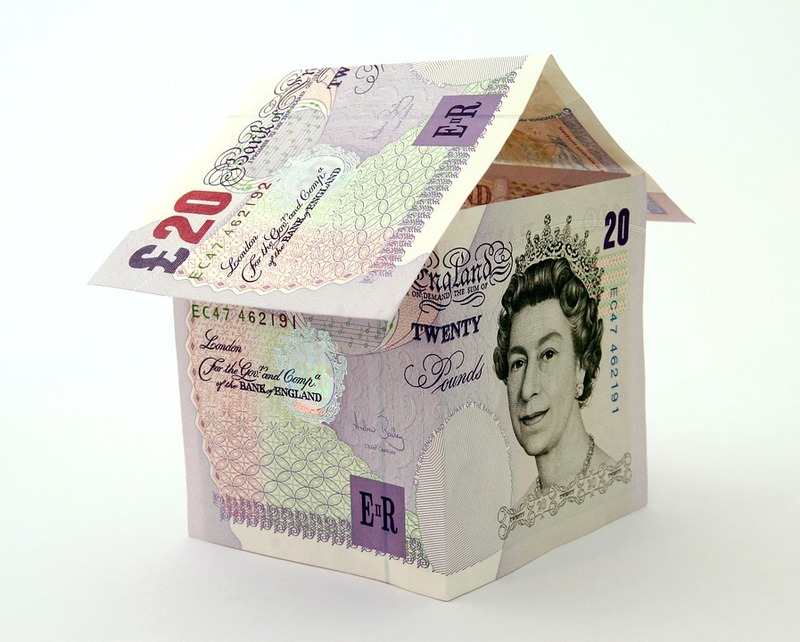 Alternatively, funds provided by the defendant might be used by the claimant to buy such a house subject to a charge in favour of the defendant. In the still further alternative, it has been suggested that a variation on the Roberts v Johnstone method might provide a solution to the problem if the notional loss of investment income approach was replaced by the notional cost of mortgage interest. Only very passing reference was made in argument to the problem as it will arise in this case if and when the assessment of damages listed for October 2018 proceeds to a hearing. None of the suggested possibilities for solution of the problem mentioned above was canvassed at the hearing of the application. Whilst reference was made to the existence of draft proposals by the government, it was rightly submitted that the court could not speculate as to what might happen in respect of such proposals to deal with the discount rate in the future. The Eeles approach had to be taken upon the basis of matters standing as they do today. Counsel for the defendant trust suggested that for present purposes the court should make some form of “like-for-like” calculation. The basis for such a calculation, counsel suggested, was to take the approximate costs of suggested adaptation and extension which would be required for any property proposed by the experts, to deduct “betterment”, then add acquisition costs and running costs, and to apply an appropriate multiplier. By this method, counsel for the Trust submitted, on the claimant’s figures a capital sum of £783,143.45 resulted, whereas on the figures put forward on behalf of the defendant trust a capital sum of £664,360.80 would be provided. ii) to calculate the claim on the basis of alterations, adaptations, acquisition and running costs, and other costs. “11 Throughout the correspondence leading up to this application, and in paragraph 1 of the Defendant’s skeleton argument, it is submitted that there will be an issue at trial as to whether the Claimant’s future accommodation needs can adequately be met by his renting a larger property with modest adaptations. I noted that there was no reference in McGregor [on Damages] or the authorities cited to me, or elsewhere as far as I am aware, to any case in which a court or commentator has even considered whether a seriously disabled claimant’s future accommodation needs can adequately be met by renting a property. [Counsel for the Claimant] and [counsel for the Defendant] both have very great experience of this field of the law, and neither of them was aware of any such discussion. No material has been put before the court to suggest that that is or could be a real issue at trial. [Counsel for the Defendant] states that consideration has been given in other cases to such future accommodation to the knowledge of those instructing him, but he put no written a material before me. Whether it was in the light of such considerations as the learned judge referred to in that case, or otherwise, the rental basis for accommodation was not pursued as a realistic one in the present case, for the purposes of the application for an interim award at any rate. It follows that the assessment can only be on the basis of alterations, adaptations, acquisition and running costs, et cetera. Be that as it may, it is common ground that the present accommodation is not merely inadequate but wholly unsuitable, and with every month that passes it becomes more unsuitable, as Bayley is still a growing child. Aids and equipment (such as a motorised wheelchair and similar items) are of absolutely no use to her if it is impossible to get them through the door, or if there is insufficient space for them to be used within. If the only accommodation which is of a suitable size, and which is suitable for adaptation, is one which happens to be somewhat larger and somewhat more expensive than premises which exactly match the claimant’s needs, that, it seems to me, is a problem for the defendant trust as the tortfeasor, not a misfortune to be visited upon the claimant. Whilst no evidence was given on the point, it can hardly be unduly speculative to consider that the cost within the Home Counties of acquisition and construction of bespoke premises, tailor-made to fit the claimant’s present and future needs exactly, with no unnecessary space, would be likely to be enormous. Whilst the trial judge is likely to regard himself or herself is bound by the principles, however imperfect, established by the case of George v. Pinnock, I am confident that the court while having regard to the risk of over-compensation, will not permit the Claimant to be under-compensated as the result of the change in the discount rate, since the court must follow the decision of the House of Lords in Wells v Wells and make an award of damages for future expenditure which places the Claimant as nearly as possible in the same financial position as she would have been but for the accident. The point was expressly made in that case that the aim is to award such a sum of money that will amount to no more, and at the same time no less, than the net loss. The imperfections referred to by Tomlinson LJ in Manna have become distinctly more marked since the change in rate. In the instant case I am satisfied that the purchase and adaptation of Birch House represents the only viable solution to Bayley’s needs and I am satisfied that the trial judge will allocate by way of damages in the form of a lump sum sufficient capital to enable her to be accommodated substantially in accordance with the requirements set out in the experts’ reports. In my view such a lump sum is most unlikely to be less than £900,000. Leading counsel for the claimant summarised the respective parties’ positions as to the valuation of the heads of claim other than for accommodation for the purpose of Eeles 1 as follows. At the hearing there was no discussion in any detail of the respective valuations of the particular heads of claim. In my view, for the reasons advanced by counsel for the Claimant, it is likely that significantly higher sums than those contended for by the defendant trust will be awarded in respect of some of these heads of claim. A deduction of 20 per cent must be made to reflect the terms of settlement, giving a net figure of £1,080,000. A further deduction of 10 per cent to bring the figure towards the ceiling of what may be regarded as a reasonable proportion of the eventual award gives a final figure of £972,000. It was accepted by counsel for the claimant that, even on an optimistic basis, it was impossible to provide for the interim award requested without recourse to Eeles 2. Those acting for the claimant must pass a two-stage test in the presentation of a claim under Eeles 2. Not merely must they show that there is a real need for the interim payment requested in advance of the trial, but, secondly, that the court can have a high degree of confidence that the trial judge will award the elements of future loss which are suggested as the basis for the additional amount under Eeles 2 by way of capital sums, and not by PPO. Counsel for the defendant trust, in addressing the “real need” stage of the test submitted first, that the parties’ surveyors had made reference to purchase prices for alternative properties which were much less than the amount which form the basis of the application. The claimant’s surveyor had made reference to available suitable property at between £900,000 and £950,000, and the defendant’s expert had made reference to property at a price of £741,000 (more recently £660,000.) The evidence from the solicitor for the claimant and from members of the claimant’s family as to their inability to find any other suitable property other than Birch House, despite a year-long search involving agents, was (submitted counsel for the defendant trust) served on behalf of the claimant at an embarrassingly late stage. Dealing with the second stage of Eeles 2, counsel for the defendant submitted that the court could not have a high degree of confidence that the trial judge would award all the elements of future loss suggested by those acting for the claimant by way of lump sum. Those acting for the defendant Trust had expressly reserved its position in respect of PPOs for heads of loss other than care and case management. The effect of the reduction in the discount rate was, it was submitted, such as would reduce all heads of future loss by the date of the assessment of damages. There was also an issue as to life expectancy. ii) £1,879,180 contended for by the defendant Trust. Counsel for the defendant Trust submitted that the trial judge may wish to award at least elements of each of the heads of future loss, not merely those for care and case management, by way of PPOs. “However there will be cases… in which the judge at the interim payment stage will be able confidently to predict that the trial judge will capitalise elements of the future loss so as to produce a greater lump sum award. In such a case, a larger interim payment can be justified. Those will be cases in which the Claimant can clearly demonstrate a need for an immediate capital sum, probably to fund the purchase of accommodation. In our view, before a judge at the interim stage encroaches on the trial judge’s freedom to allocate, he should have a high degree of confidence that such a course is appropriate and that the trial judge will endorse the capitalisation undertaken. 38 [Counsel for the Defendant] submits that the present arrangements can continue until trial and that this court cannot have the degree of confidence required to make the order sought by the Claimant. 39 I prefer the submissions of [counsel for the Claimant]. In my judgment I can have the high degree of confidence that is required that the trial judge will allocate by way of damages in the form of a lump sum sufficient capital to enable the Claimant to be accommodated substantially in accordance with the requirements set out in the experts’ reports which are before the court. In my judgment this case is, if anything, a more compelling case then the case of Oxborrow so far as demonstration of the need for an immediate capital sum to fund the purchase of accommodation. Unless and until steps are taken to do this, the claimant’s condition will worsen. Given her needs and the challenges faced by her mother, the trial judge is likely to prioritise the Claimant’s need for suitable accommodation. A capital sum in a very large amount is in my view almost inevitable, however the calculation is made. Of course, that will reduce the amount in respect of other heads of claim which the trial judge can order by way of PPO, but in my view it is most unlikely that the judge would choose to make a PPO precluding the purchase and adaptation of suitable accommodation. The accommodation issue, on the evidence, transcends all other considerations. The state of the evidence is clear on the following matters. i) There is an urgent and pressing need for the claimant to be moved from the present accommodation to more suitable accommodation as soon as that can be achieved. At present the claimant is unable to receive therapy, can move around only on her knees, cannot access the bathroom, and has no accommodation for carers. There has been a noticeable deterioration in the claimant’s mobility already. ii) It may very well be that the purchase, completion, and conversion of any house which is found suitable may take up to a year. If Birch House is rejected as a possibility, it will be necessary to add the time necessary for researching the market for an available alternative. iii) Until the process starts and such a purchase is authorised, matters cannot begin to improve for the Claimant. On the evidence I have seen a start is required immediately: it is not a matter which can be left to wait until the final outcome of the case, whether that is achieved by settlement or at a final hearing. iv) As soon as the claimant is able to move into more suitable accommodation, not merely will she benefit from the physical activity in which she will be able to engage, with the help of physiotherapists, for example, but her quality of life will improve immeasurably in terms of having proper sleeping quarters, bathroom facilities, and, not least, sufficiently spacious accommodation for her to be able to live comfortably with her mother and sisters as a family, and for them all to enjoy family life together, rather than endure the present cramped accommodation with the unnecessary burdens which its confines place upon Bayley and her mother in particular. v) Whatever may have been said in the past by the surveyors as possibilities in terms of alternative accommodation, and possible price brackets, the evidence is that, Birch House apart, no suitable accommodation has been found which is available, despite a year’s search with professional agents providing their services. vi) The evidence of Mr Reynolds is that Birch House is suitable, and that appropriate adaptations are both feasible and likely to be permitted for planning purposes. Whilst the house may be somewhat larger than it is strictly necessary, it is most unlikely indeed that any other premises which exactly provide the amount of accommodation needed will be found. I do not accept the submissions made by the defendant trust that, for the reasons given by their surveyor, Birch House may be suitable but is not “appropriate” whether in terms of distance from the Claimant’s school, or in terms of price. Those points, in my judgment, are not determinative of the issue of “real need” in circumstances such as the present where the rehousing of the claimant in suitable accommodation is all-important. The point that purchase of the house might, or even necessarily will, involve expenditure of money on its purchase taken from other heads of claim is neither here nor there, as it is the reason for Eeles stage 2 being involved at all. Moreover, even at Eeles Stage 1, money paid as damages (for example) for pain, suffering and loss of amenity may well be so used. It is for that reason that the Court of Appeal made the point that the court need not normally have regard to the use intended for the money by a claimant: if any claimant is of full age capacity he or she may spend the money as they wish. If, as here, the claimant is neither of full age or capacity, it becomes a matter for the Court of Protection. With regard to the second stage of the test, I do not consider that there is any risk of tying the hands of the trial judge at the hearing of the assessment of damages. As leading counsel for the claimant pointed out, it may be confidently predicted that the judge will wish to make awards in respect of future loss of earnings, aids and adaptations, and Court of Protection costs by way of lump sum awards. Not only is this the almost invariable practice of the court in all but the most exceptional cases, but also, as counsel pointed out, items which are variable in nature, or the need for which may be the subject of dispute, would not be suitable for a PPO in any event. By contrast, it is possible to predict with confidence that the claim for future care and future case management will be the subject of a PPO. A selection (only) of the main heads of claim for future loss to be taken into account at the second stage are set out below under columns headed “Schedule” and “Counter Schedule” respectively, rounded up or down to the nearest whole figure. As I have already mentioned, there was no critical analysis at the hearing of the figures put forward on either side under these heads. I have therefore done the best I can to make a conservative estimate of the likely awards in the third column. Omitted from the above are the claims and counter-offers in respect, in particular, of accommodation costs and future care, future aids and equipment, neuropsychology, and certain other costs. Whilst it is probable that the trial judge will wish to make PPOs in respect of future care and possibly in respect of future aids and equipment, for example, it may well be that he or she will consider it appropriate to award a capital sum in respect of other heads. Thus there is a margin of appreciation, so to speak, above the total of the awards likely to be made in capital terms that are summarised above. To the court’s estimate of £2,162,000 likely to be available under Eeles 2, there must be added the estimated amount available under Eeles 1 of £972,000 (taking account of the deduction for settlement.) The result of that calculation is the sum of £3,134,000. A “reasonable proportion” calculated by taking eighty per cent of that sum in round figures is just under £2,664,000. In my view, therefore, the further £1,900,000 sought by way of interim payment, when added to the previous £500,000, will bring the total of the interim payments to £2,400,000 and will by no means exceed the amount which the court should consider making by way of interim payment having regard to all relevant considerations in the case of Eeles.